Singer Ryan Adams, who owns and operates PAX-AM, along with his record label of the same name, also appears in the photo. 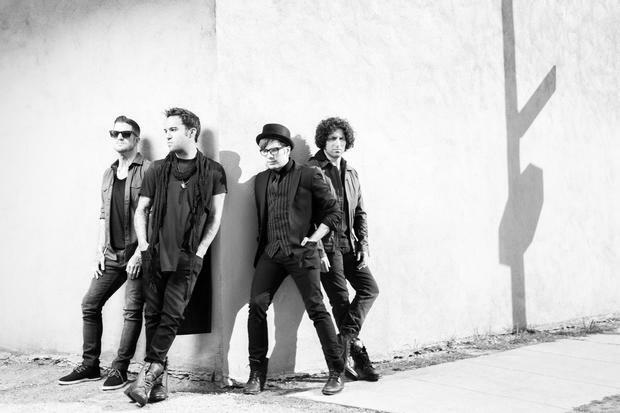 The nature of Fall Out Boy's studio visit in unclear, as is Adams' involvement in the project. However, it should be noted that Adams and Butch Walker, producer of FOB's Save Rock And Roll, spent time collaborating last summer. We've reached out to the band for further comment, and will update as the story develops. Check out FOB's photo, from PAX-AM, below. Regardless of what the group's studio visit yields, a new Fall Out Boy record is still likely to be a long way off. Baring the fact that their latest, Save Rock And Roll, was just released on April 16, the band are also set to depart for a tour of Europe and Asia on July 25, directly followed by a North American arena tour with Panic! At The Disco and twenty | one | pilots in the fall. You can find a full list of dates, below.